Kaua Wedding Photography | Maui Wedding Photographer Kaua offers Beautiful, Timeless, Organic photography to tell the story of your Hawaii Wedding day. Click here to see the photography of all the beautiful weddings we have shot here on Maui and around the world. Congratulations on your engagement and thanks for taking the time to view my work. Being a Maui Wedding Photographer is more than a job, I love what I do and hopefully that comes across in the images you see here. This is your biggest day, the last thing I want is for you to think back and remember it as a photo shoot. The more in love and in the moment you are, the better I can do my job. I see a wedding as the collection of details, people, and moments that tell the larger story. In the end, telling that story is my goal. So that you, your family, guests, and anyone who might not have been able to attend, will be able to relive the day for a lifetime. But above all, you should enjoy the day. It should be FUN! I like to think of myself in 2 parts, part war correspondent and part wedding crasher. While shooting your Maui Wedding day, I try to be everywhere, anticipating moments before they happen and composing on the move, much the way a photojournalist works. I am also part wedding crasher, attempting to fit in to the crowd and add to the festive nature of the day. In a sense I am a professional wedding crasher, and I thank you in advance for my piece of cake (I do love cake) . But don’t get me wrong, I am a man on a mission, a mission to capture the true essence of your day. And in that mission, things can get dirty. Maui can be hot and humid, especially in the Summer months. Therefore my attire might not be your conventional “all black” wedding attire. I prefer leather sandals over loafers, light colors over dark, and in the end am just trying not to melt while carrying three cameras and walking as much as 5 miles. Fortunately, I will probably not grace the pages of your wedding album. 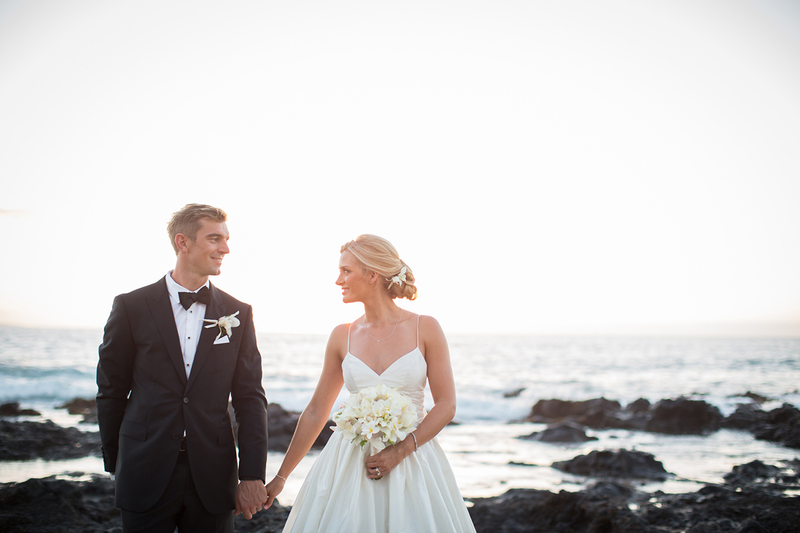 Once you decide on me as your Maui wedding photographer, the next step it to secure the date with a deposit. I will send you a contract to sign and a link to where you can securely make a deposit payment by credit card. Once your deposit and contract have been received, I put you on the calendar as confirmed and you can put a big check mark next to photographer on your list of wedding to do’s. I show up on your wedding day with camera’s and lenses strapped, an arsenal of memory cards and charged batteries, ready to document your love! Once back at the office, your images are backed up, and those backups backed up. We then hand edit each image, delivering those to you on a thumb drive that includes a non-commercial reprint release. This is time consuming, but in the end you receive all of the edited images that you can cherish forever.